As JumpCloud’s Partner Program continues to expand through the managed services market, we like to sit down with Partners like Froogal to highlight their business, clientele, and what makes them experts in their field. It should be noted that Froogal’s business model is unique for the JumpCloud Partner Program, as they help set up, train, and manage many other MSPs. Can you tell us about your business? When and how did you get started? Caleb: We certify MSPs and streamline the dynamic needs of their clients. We make MSPs more adaptable, which involves SaaS products and the Internet of things (IoT). We find technology savings for MSPs, negotiate new rates, set up new services, teach them how to use them, and then manage all of the IT infrastructure. It’s not necessarily my role to build the company as much as it is to build the team that builds the company and to create strategic relationships that allow our MSPs to have access to the tools to do their jobs in a wash-and-repeat fashion. I founded Froogal in 2012. We started out focusing on cost-reduction with telecommunication audits for end clients. When they started asking us to reallocate their budgets, their real needs started to be exposed. The more we dug into this, the more we realized we can’t re-empower small American businesses alone. We need partners. We need MSPs. There’s an ecosystem out there. What would you say is your primary area of expertise? Caleb: We just try to be adaptable; that’s why we created our micro hub-and-spoke model. If a piece of it breaks, we take it out and replace it, even if it’s one of our major components. If it’s a Froogal-certified Client, everything is documented and we’re hosting the data, so we can just drop in another provider. The same can be said about phishing tools, systems, SaaS products, you name it. Our model allows us to be really flexible and agile with what we can support. Who are your ideal customers, and why do they choose to work with you? Caleb: Our MSPs service 28 companies on average, and we know the average seat count per client is 210. In the past, we couldn’t have managed larger businesses because their corporate infrastructure would need an onsite Exchange and Active Directory, but now, the cloud has changed all of that. Our MSPs are able to fully service a wide range of organizations with SaaS, and I believe that SaaS and IoT in particular are the new economy for American small businesses. Can you share more about the services you offer? 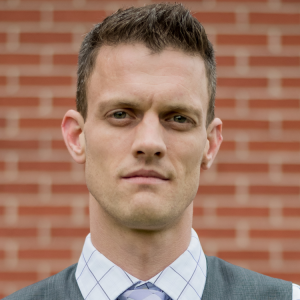 Caleb: We feel one of the biggest problems in the MSP channel stems from the lack of common denominators and standardized service catalogs in the space, while the other piece is the lack of best practices and aggregated accountability. In order to train MSPs, we leverage a full ConnectWise back stack using ConnectWise Manage, ConnectWise Sell, ConnectWise Automate, ConnectWise Control. We also use PassPortal for documentation, password management for end clients, Sienna security group, and ITbD for SOC, and we have a white-gloved, white-labeled 24/7 U.S.-based help desk that we give our MSP Partners. With all of this, we’re alleviating 92 hours per technician of their bench time, allowing those owners/operators of MSPs to either scale up in clients or scale back in labor. This is important because 65% of people in our space are 55 years and older. Part of creating balance in their lives, involves streamlining processes, and moving away from the break-fix mentality that forebodes billable hours and a reactive mindset. They’d love to be subscription-based, consultative, and proactive, and a hub-and-spoke micro service delivery model provides that. What’s the one piece of security advice you give every client? Caleb: They need to train the human being. Computers don’t click on viruses by themselves. Clients need security awareness training early and often. This involves on-hire, quarterly reviews, and setting metrics. It also involves asking questions like are you completing your trainings? Are you compliant with what we’ve set forward in your hire packet? So, we’ve partnered with Breach Secure Now because they have a dark web scan that shows us any usernames that have been compromised due to a security breach. Once we have that information, we’re able to send out a remediation packet that explains which users need to change their passwords and why. We also use phishing simulations to train users. For example, an employee will get an email that says, “Your CFO wants you to transfer 100k.” If he clicks on that link, he gets this: “You’ve just been phished now. You need to take this training because you’re the weakest link.” Building this type of awareness is what every organization, whether small or large, needs to do as part of their security strategy. The IT landscape is changing a lot with cloud services and web applications. What should organizations be thinking about in today’s world? Caleb: They should be thinking about automation and how to improve workflow processes. Additionally, most small businesses these days run off of Excel and QuickBooks, and they tend to store all of the files on a local machine with no backup. That can lead to a horrible situation. However, that’s where MSPs come in. They can help SMBs implement the right tools, streamline processes, and adopt industry best practices. Why did you partner with JumpCloud? 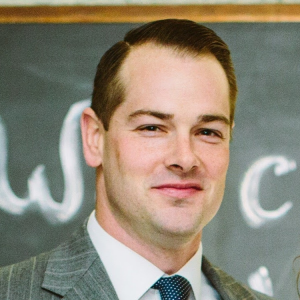 Caleb: When I vetted JumpCloud a couple years ago, JumpCloud was one of the only providers in the space that did what I needed it to do. Also, business is about relationships, and the people I’ve worked with at JumpCloud have been awesome. I’ve really liked some of the collaborative conversations I’ve been able to have with the team. They built a relationship with me right away, and that has since been solidified. If you’re interested in hearing more about Froogal, check out their website for further details about how they train MSPs to be adaptable with SaaS products. If you’d like to try JumpCloud for yourself, go right ahead and sign up. Your first 10 users are free, so you can see how Directory-as-a-Service works firsthand. MSPs looking to join the Partner Program can apply here. 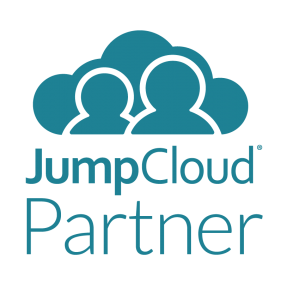 JumpCloud’s Partner Program empowers IT Service Providers with central identity management from the cloud. Fine-tuned for MSPs with cloud security offerings or clients transitioning to the cloud, Directory-as-a-Service can be easily bundled at the center of any product stack to make your business, and your clients’ businesses, as efficient and scalable as possible. Make Work Happen™ for your clients while improving the bottom line for your business.